The Physician Health Technology Advisory Sessions connect physicians and stakeholders in IM/IT projects / programs across BC. The online consultation sessions are designed in such a way that physicians have some protected space to engage with stakeholders for feedback and open discussion, and to ensure more community level clinical input into projects that affect physicians. Physicians do not need an IM/IT background to attend, just a willingness to share feedback and ideas on the impacts of health technology to their practices. For a list of Frequently Asked Questions regarding the physician engagement webinars, click here. To take part in the physician webinar series, please email DTO dtoadmin@doctorsofbc.ca. If you would like more information on past sessions, please email us (dtoadmin@doctorsofbc.ca). May 23, 2018: Physician e-Engagement: Help Build an Optimal Web-Based Solution! Presented by: Diana Trifonova, Program Manager, Doctors Technology Office. Cyberattacks and information breaches continue to grow and protection of patient information is of paramount concern for patients and physicians. November 7, 2018: Laboratory Services Act: Change is coming and we need clinician feedback. BC’s Agency for Pathology and Laboratory Medicine (Agency) was created to enact the provisions of the Laboratory Services Act. On October 1, the Agency assumed responsibility for processing requests for changes to laboratory requisitions. The Agency is sensitive to the impact that forms have on care providers and their practice, and will strive to minimize that impact wherever possible, through a collaborative approach with clinicians. For this reason, it is important to the Agency to be represented on the various initiatives involving laboratory referrals. The Agency looks forward to engaging with clinicians and the Doctors of BC Doctors Technology Office to align wherever possible. In February 2018, the government announced new ICBC legislation that includes an enhanced care model for patients who are injured due to a car accident. ICBC is shifting towards a care-based model that focuses on better, more integrated patient care and increased access to treatment. 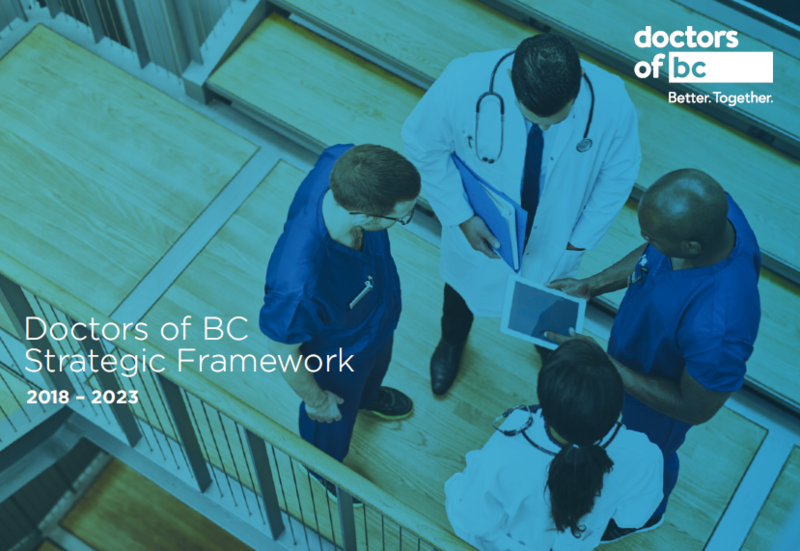 To better support physicians and all care providers in delivering better outcomes for British Columbians injured in a crash, the CL19 is being replaced with a redesigned form. This form will include a short and long version to allow enhanced treatment and return-to work-planning for those in need. Intensive consultation with the Doctors of BC, DTO and select physician groups has resulted in a form that requires further validation from those most likely to use it in daily practice - you. Additional background information can be found here. Health Insurance BC (HIBC) services include delivery of PharmaCare and Medical Services Plan operations as well as some lab payment processing on behalf of the Ministry of Health. HIBC services have been delivered by MAXIMUS BC since 2005 on behalf of the Province. The current agreement with MAXIMUS BC for delivery of HIBC services is expiring within the next 3 years and the Ministry of Health is exploring options for future service delivery. We are currently in the planning and information gathering stage and would like to gain early feedback to better understand the current state from a physician’s view to help inform planning for the future. Over the next year, the plan for future HIBC services will be established and will inform the change and transition plans required to support continuous and reliable service delivery. Additional background information can be found at https://www2.gov.bc.ca/gov/content/health/about-bc-s-health-care-system/partners/health-insurance-bc. Health services delivered to clients and families in primary and community care are less than optimal due to fragmented care delivery and siloed care planning across the continuum. The gaps in communication across interdisciplinary teams and service areas is leading to examples of counterproductive workflow processes and the delivery of uncoordinated healthcare services. The transition toward an interdisciplinary, team-based approach where delivery of care is client and family centered is vital as we focus on enhancing client outcomes and increasing clinician, provider and client/family satisfaction. A key enabler to this practice change is the development and implementation of a collaborative care plan to be used by clients, families, and interdisciplinary team members. As part of the Fraser Health Primary & Community Care – Health Informatics Enablement program, the development of an interdisciplinary collaborative care plan is being explored. The goal is to create a client-centered, evidence-informed tool that will be co-created by all members of the interdisciplinary team with clients and families to aid in the continuity and transition of care across service areas. The collaborative care planning process will help to guide the development and documentation of a client’s identified and prioritized health goals, interventions and care activities. These learnings will be shared with our partners in each health authority. At this webinar we will present some options for discharge summary content and ask for feedback on what is important and how to structure the content so it is quick to understand. July 18, 2018: How would you make discharge summaries better? Discharge summaries are critical documents to family doctors who don’t follow their patient in the hospital. Like all documents that come to the family doctor, it needs to provide information quickly and comprehensively. As part of defining documents for electronic transmission, an optimal format for discharge summaries needs to be created. This needs to include the perspective of family doctors, hospital admin and hospital providers. In April 2018, DTO hosted a webinar for Lower Mainland Medical Imaging (LMMI) to present information on the MRI Central Intake project. Based on feedback provided by physicians in the webinar, LMMI is back to provide information and request feedback on the revised regional MRI requisition form and appropriateness checklists that will be introduced as part of the MRI Central Intake project. The MRI Central Intake project will provide referring clinicians with a central fax number to direct outpatient MRI referrals to 11 MRI sites across Vancouver Coastal Health, Providence Health Care and Fraser Health. A regional central intake office will be established to receive all outpatient MRI referrals. This will enable patients to be booked at the most appropriate lower mainland MRI site with the shortest wait time. We look forward to discussing the revised regional requisition and appropriateness checklists with you. Your feedback will assist in the development of this work. Information on the project can be found at www.vch.ca/for-health-professionals/physicians-update/mri-central-intake. There is currently no effective mechanisms for Doctors of BC to consult widely, via a technology solution, with its members. Interior Health Authority has identified a similar need. To address this, a web-based consultation-engagement platform is proposed that would enable your voice to be heard in discussions around topics that are important to you, and allow you to subscribe to updates and notifications on topics of interest. We look forward to discussing this proposed solution with you and garnering your feedback on what would best meet your personal needs around consultation and engagement. Doctors of BC and Interior Health Authority would like feedback from physicians on what an optimal electronic platform for physician consultation and engagement would look like. Lower Mainland Medical Imaging would like feedback from physicians on centralizing intake for outpatient MRI referrals across Vancouver Coastal Health, Providence Health Care and Fraser Health. April 11, 2018: Understanding BC Privacy Legislation and Sharing Information across the Health Sector. Are you confused about what you can or cannot share to support patient care? Do you have more questions than answers? The objectives of this webinar are to: A) share your feedback, B) learn the commonalities and differences between BC’s public and private sector privacy legislation and C) build your confidence in responsibly sharing personal information while maintaining your patient’s trust. You will also learn what the key provincial privacy and security committees are doing to build bridges that will help you navigate this information sharing environment. What trips you up or causes you concern? Tell us your stories from the field to help us inform the development solutions that better support our collective patients. March 14, 2018: Can we make clinical document titles in your EMR more useful? Do you find it hard to differentiate between different types of incoming documents and reports? When GP’s on Vancouver Island are reviewing a list of clinical documents received electronically they are unable to distinguish the different contents. For example, all consult documents have a generic clinical display title such as “Consult note” regardless what discipline was involved. This webinar proposes a provincial clinical display title standard to improve the description of the documents. The goal is to improve clinical document management without any effort to office staff or the GP having to manually determine what type of consult was provided or by what discipline. Beginning in 2016 and into 2017, we saw a more healthcare focused attack through malware such as ransomware by cybercriminals. In response, DTO has updated and produced the “Physician Office Security Guide” and other educational material, to support physicians and their clinics, which will be published soon. During this webinar, you will have an opportunity to sample portions of these practical and effective solutions within the privacy and security tool-set. You can help us understand how we may best introduce these tools, and more importantly, how we can support you and your clinics with cybersecurity and privacy breaches. The Ministry of Health has launched the PRIME project to improve the way PharmaNet access is granted, managed, and monitored. This project will affect all PharmaNet users. The purpose of PRIME is to design and implement a solution for PharmaNet user management that provides access to information for patient care, satisfies the requirements of the Information Management Regulation, standardizes processes across the province, and ensures that all PharmaNet access is transparent and accountable. The MoH is supporting the creation of a Provincial Immunization Repository which would contain all the immunizations provided to BC citizens. This repository will be used by public health to forecast immunizations that are required as part of the Provincial Immunizations Schedules, as well as during outbreaks to quickly identify citizens at risk. It is estimated that Private Practice Physicians administer ~11% of all these immunizations for clients under the age of 18. Currently, this data is either requested by parents, provided to public health and manually data entered into Health Authority Clinical Systems, or not collected at all. PHSA is exploring opportunities to capture and share this information through a physician’s EMR. As part of the provincial effort to transition to a Patient Medical Home (PMH) delivery model, the GPSC has outlined several strategic objectives for the next two years. One of these goals is to “Embed a QI culture and approach across practices and programs”. The main goal of the proposal is to put forward a Practice Support Framework that will help physicians to acquire the internal skills and knowledge to engage in QI projects and optimize their EMR competency to support these efforts. The Provincial eHealth Viewer (CareConnect), a read-only viewer providing access to a significant amount of clinical information from all of BCs Health Authorities and the Ministry of Health, is regularly used by over 14,000 clinicians. While many private practice physicians already have access from their private practice, the process to get access is a little cumbersome. As VCH provides access to private practice physicians starting this fall, we have technology to share with the EMR vendors to enable physicians that are on the PPN to click on a link which opens CareConnect and searches for the patient in context – from your EMR to CareConnect very quickly. Strong physician support will help with EMR Vendor adoption. Expanding the availability of clinical reports detailing care provided within a Health Authority facility via electronic distribution is a key priority for the Clinical & Systems Transformation Project in the Lower Mainland. As part of this work, Vancouver Coastal Health, Providence Health Care, and Provincial Health Services Authority have taken on the development of a provincial standard message format in consultation with GPs and Cardiologists for electronic delivery of Cardiology reports including ECG, Echocardiograms, Holter Monitoring, and Stress Tests. These reports will first be made available electronically over the summer months. The Health Data Coalition (HDC) is an independent, not-for-profit organization governed by physicians for physicians. Giving patients online access to their health information can increase patient confidence, empowerment, and can truly place patients at the center of their care. The Ministry of Health is currently developing a strategy for Online Patient Identity and Access. This strategy will create a vision for how patient-centered technologies will be used to increase patient access to health information and services, give physicians and care providers new ways to interact with patients, while ensuring high value, quality and sustainability of the health care system.